Do you have pets at home? If yes, then one of the biggest responsibilities you have is taking extra care of your home. This is as important as taking care of the pets you have. Never forget to clean up the stains left behind by your pets; if you don’t abide by this basic rule now you might be in big trouble later. We can help you to ensure that you never become victims of stubborn stains including those created by your beloved pets and bad odors. We have a dedicated team of stain and odor removal personnel. They will complete the task assigned to them perfectly irrespective of the size of the stains. 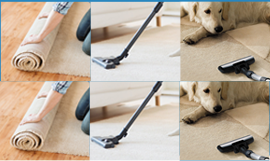 As we all know the majority of the stains, particularly the ones created by pets, leave behind a strong odor, removing which often becomes extremely; some odors don’t go even after days. So, besides removing the stains, we also make sure that the removed stains don’t leave any odor behind. Last, but not least we use green stain & odor removal products that are capable of cleaning as efficiently as the most powerful industrial solutions.